It has been “1L of a year,” to quote a couple of my classmates as we were walking out of our final exam of the summer. When I penned my first article, I was just settling into the throws of evening classes on top of a full-time job and involvement in various organizations. Since then, I have found that semesters do become more manageable. Figuring out how to tackle law school alongside your personal life is best done through trial-and-error, and luckily most of my non-law school pals have become more understanding about the demands and unavailability of their law student friend. By spring semester, everything was starting to fall into place for me, and the newfound flow soon turned into a routine that risked becoming monotonous. Just in time, the sensation of new beginnings returned. I could feel the warmth of the sunshine beating on my skin at the park, hear the rush of the river from the melting snowpack, and, most exciting of all, I would be able to put a year’s worth of in-class learning into practice at the internship at the Colorado Water Trust that I had secured in March. In my humble (and accurate) opinion, internships are the most critical — and the most enjoyable — part of my educational path. These three- to four-month career test-drives are a way to show professional “personality.” You can build your resume to reflect the types of things that interest you. In many ways, these internships help employers piece together your potential knowledge about an area of law, and the story on your resume helps determine if you are a suitable match for an open position upon graduation. Personally, I enjoy participating in the work world as opposed to academia because my learning style is geared toward working through problem areas on my own and consulting a trusted colleague if I run into complications. All of the internships I have experienced have been extremely enlightening, which is probably why applying and interviewing for them can be so thrilling. When I walked into the first week of my internship, I was somewhat blindsided with the amount of information about water law that I did not understand. I quickly found that working full-time at the Denver and Colorado Bar Associations, part-time for the Colorado Water Trust and taking evidence, as well as administrative law, was going to be challenging. As I was also determined to soak up the beautiful weather, I spent mid-May to mid-July traveling, camping and rafting in Moab, Costa Rica, Michigan, Florida and stunning Colorado. I am the first to admit that this amount of involvement was a mistake. For the first time, I experienced “overdoing it,” and all of the things I was involved in suffered. My internship soon became a task that I was not able to dedicate very much time or effort to outside of the office. My supervisor handed me pamphlet after pamphlet and book after book to dig into, but my school reading load, on top of all of the traveling I had piled on, left me feeling exhausted and overworked. I managed to tackle items one by one and complete everything that was assigned to me, but I never felt like I was able to immerse myself in any given task. As I stated earlier, internships are possibly the most important part of the law school experience, and I was doing myself a disservice to dedicate anything less than my full attention to mine. If I had to give one solid piece of advice about taking on an internship, I would say this: Do not be afraid to drop something on your commitment list to be able to give 100 percent to it. Your supervisor has a lot to teach you, and I guarantee they want to see you succeed as an intern of theirs. Most of the time, they are doing their part, and they expect you to do yours plus some. You cannot succeed together if your mind is on edge about schoolwork or alternative work while at your internship. My mentor guided me toward some sound internship advice during one of our coffee meetings. She told me to explore and to have the courage to try a little bit of everything. This approach not only creates a well-rounded resume but also helps with professional development. If you are able to say that you never want to work in a certain atmosphere or field, it could save you years of work at a job that you hate in the future. I have found alongside my peers that there is not one tried and true way to obtain this variety. Typically, the Career Development Office is extremely helpful in giving advice. Personally, I do a bit of research beforehand by talking with attorneys who work in diverse atmospheres. Once I hear something that sounds interesting, I do a bit more research on the organization to determine if it seems like something I would find interesting. Lastly, if I am lucky enough to know someone who had the internship previously, I inquire about the value of it. Although all of this research is helpful in the initial steps, the interview is the true pass-or-fail moment. Just as organizations have questions for me, I make sure to line up plenty for them. I want to make sure my time is going to be filled with invaluable experience, and it is a great idea to put feelers out for the type of work you will be doing. Plenty of my friends have been stuck in internships they hated just for the title, and to me, that sounds like a miserable way to go about your semester. At the very least, internships get you out of the classroom and into a place where you are given a bit more autonomy. They are a chance for you to “strut your stuff” and show future employers or colleagues your potential. I have watched my post-grad peers who did not dedicate time to internships struggle a little bit in terms of what type of law they want to practice, what atmosphere they want to practice in or whom they want to work with. Internships are a means of getting all of that out of the way so time is not wasted post-bar exam trying to figure out happiness in a career. It will also make your transition from school to work that much easier if you have mental notes of things that did not work for you previously. Rebecca Spence obtained her B.A. in journalism and speech communications from Louisiana Tech University and is pursuing her J.D. at the Sturm College of Law at DU. 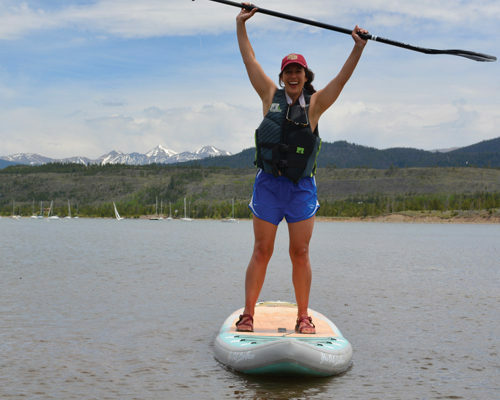 She currently works in the Sections and Committees Department for the Colorado and Denver Bar Associations and is interning at the Colorado Water Trust. 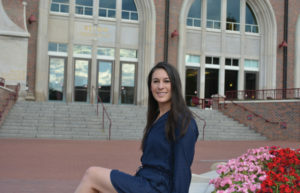 At DU, Rebecca is the outreach editor for the Water Law Review, secretary for the Natural Resources and Environmental Law Society, and an Honor Board representative for the class of 2019. In her free time, Rebecca enjoys yoga, the great outdoors, live music and reading in the park.